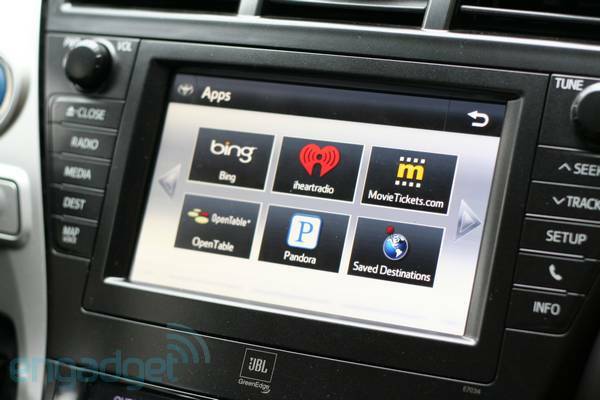 We are in 2011 and interfaces in cars are still coming from 2000... ugly arrows... ugly icons... empty spaces... I guess it's the Prius' way of doing it. New Google CEO Larry Page, who stepped into the job this week, believes that Google needs to go "social" to compete. "Bloomberg's Businessweek spies have received word from "a dozen executives working at key companies in the Android ecosystem"
If it's not a necessity, doesn't do many things as well as a notebook and lacks the portability of a smartphone, what's the key to its success? Perhaps the best gadget to compare with the iPad is the microwave oven, says tech writer Matthew Guay. Succeeding the conventional oven, the microwave oven could heat food faster and use less energy. Even though it wasn't as good at cooking as an oven, and it wasn't obvious why anyone would want a microwave, the microwave became a staple in practically every home, because people kept finding new ways to use this technological wonder.